Portsmouth Belle meets Eastend Cabbie. What a lovely day they had, complete with sunset on the bow and stern of the HMS Warrior. 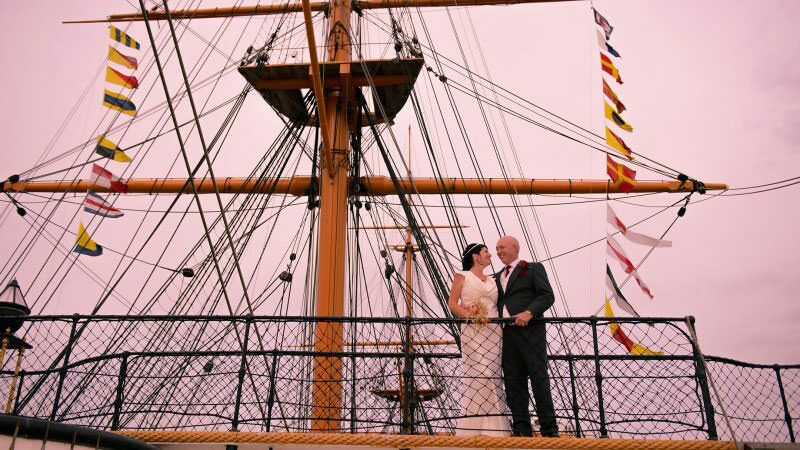 This ship has it all, beauty, grandeur and the most amazing backdrop for photos.